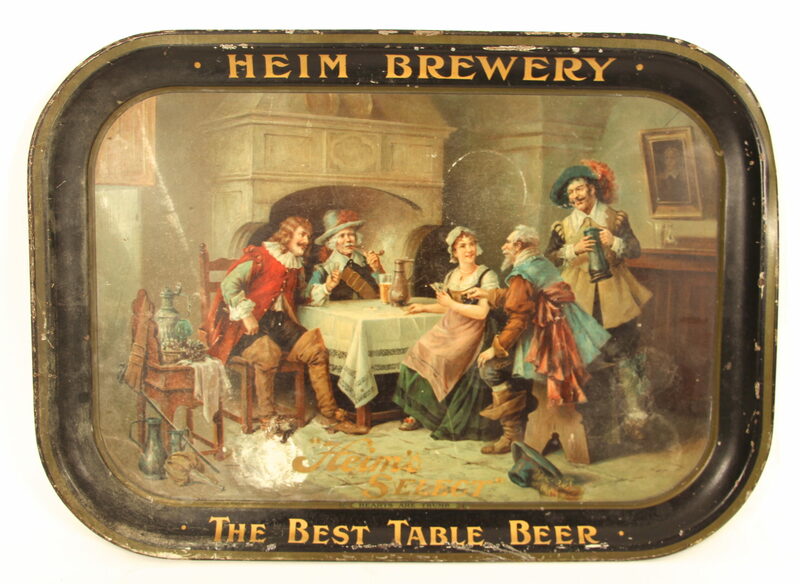 This is a early metal serving tray advertising the Heim Select Beer brand which claims it is the “The Best Table Beer”. 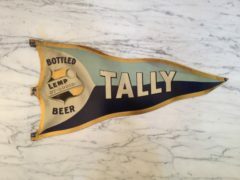 The scene shows an active group of friends from medieval times. 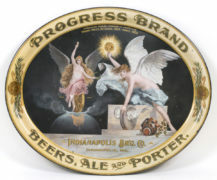 This particular tray is from the 1905-1910 era, prior to prohibition. 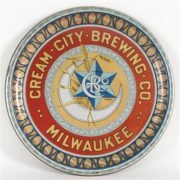 The tray does not say which brewery it came from since Heim had two, and I suspect this tray was used at both locations since both breweries produced the Select brand of beer. 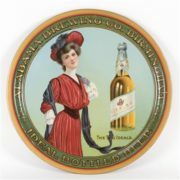 Two brothers owned the Heim Brewery, Ferdinand and Michael Heim. 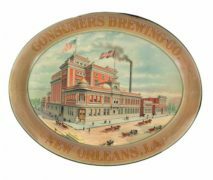 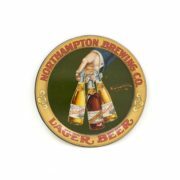 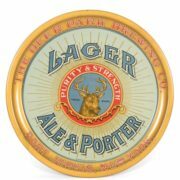 They came to the U.S. from Wolfert, Austria in 1851 and eventually moved to St. Louis in 1857 and quickly established their first brewery in Manchester, MO. 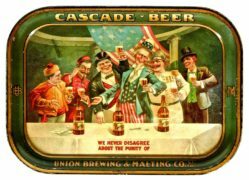 The original cave from the first Heim Brewery is located in a small park right alongside the busy Manchester Road today. 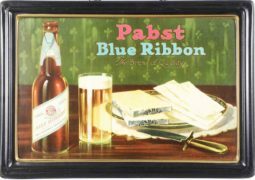 The brothers later established a larger Heim Brewery in 1870 in East St. Louis, IL after the brothers bought out the Lincoln Brewery and named it after themselves.